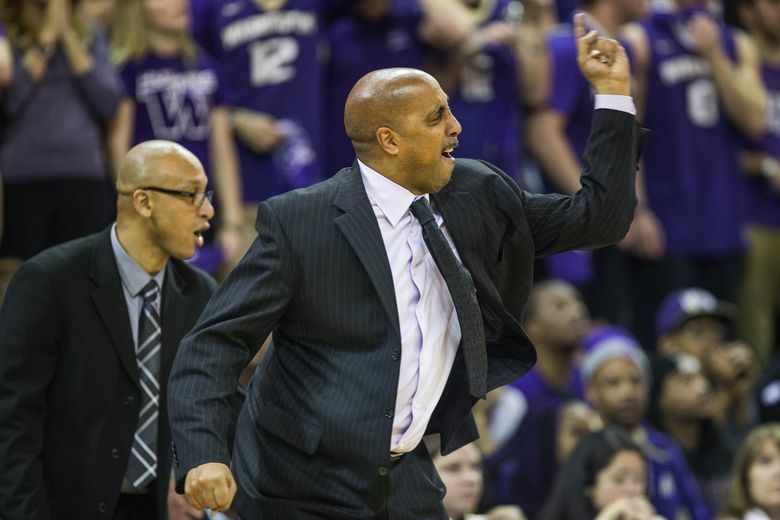 The Huskies needed firepower and Carlos Johnson should help mitigate the loss of UW's top three scorers. Needing to replenish the roster following the loss of their top three scorers, Washington signed high-scoring prep standout Carlos Johnson. The 6-foot-4, 220-pound guard scored 15 points per game last season at Findlay Prep in Henderson, NV. He also averaged 4.2 rebounds 1.8 assists and 1.7 steals. The well-traveled Johnson spent his junior season at El Cerrito High School in California and played at Shadow Mountain High in Phoenix as a sophomore. Johnson, an Oakland, Calf. native, originally committed to UNLV and re-opened his recruitment when the Runnin’ Rebels fired Dave Rice and lost replacement Chris Beard to Texas Tech. Scout.com and Rivals.com ranks considers Johnson a three-star prospect and ESPN.com ranks him a two-star recruit. He took recruiting trips to Oregon State and Boise State before picking the Huskies. Johnson’s arrival helps the Huskies restock a roster that loss leading scorer Andrew Andrews and freshman stars Dejounte Murray and Marquis Chriss, who entered the NBA draft. Johnson is the third member of the 2016 class that includes star recruit Markelle Fultz and New Zealand big man Sam Timmins. Here’s a highlight video of Johnson.